My printer was playing up these couple of days and I couldn't find out what the reason was. It wouldn't print anything at all. I had checked that the settings were correct and the network connection was fine. It turned out my printer was being stubborn and refused to print anything because the black toner was "low" (which it wasn't). I asked a friend for advise and he suggested I take out the toner and give it a good shake. So I did it. And now the printer works and everything is good. 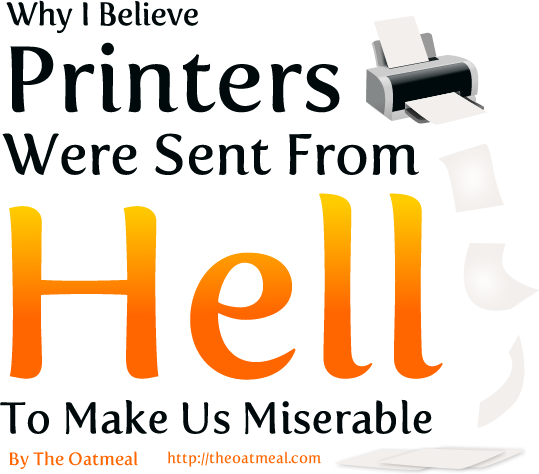 Goes to show that printers are quite annoying. 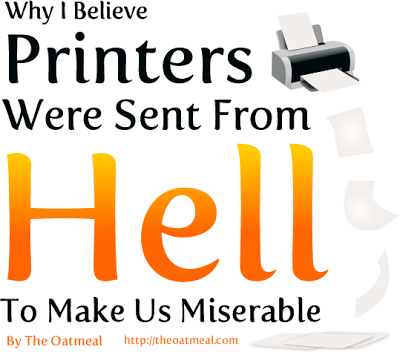 Here is a hilarious comic strip that summarizes the hell of printers: http://theoatmeal.com/comics/printers.